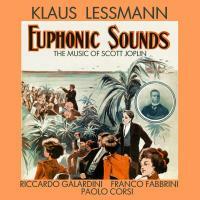 The music of Scott Joplin, the King of Ragtime, revisited with respect and love by an 'electric' jazz quartet. Joplin was one of the great melodists in music history, his compositions deserve to be reinvented more often, not only by players in the classical jazz styles. In our interpretations remains some of the 'naive/melancholy/happy' feeling whis is associated to him and his period, but we try to transmit to the audience the depth of his music, with an eclectic approach that includes swing, free, latin, rock, country and other things.